The foundations under the small barn under the shadow of the Golden Gate Bridge near Fort Point were failing. 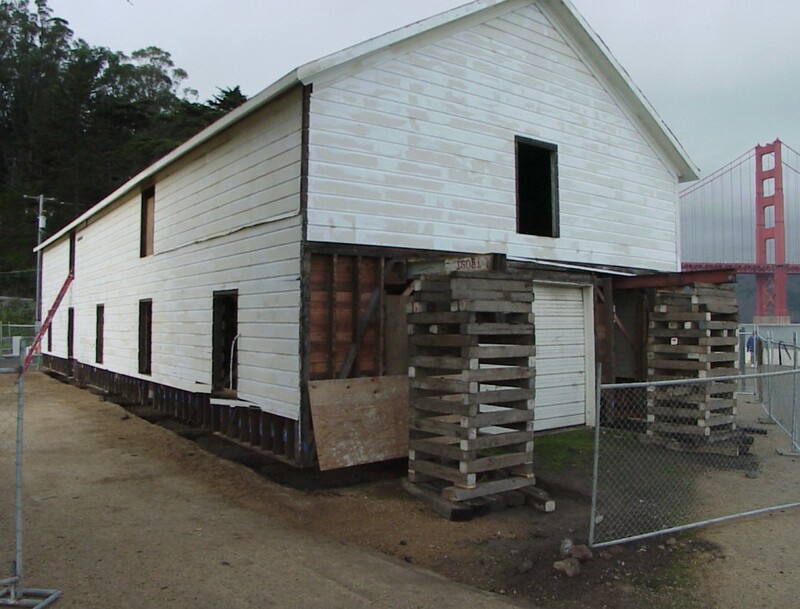 Golden Gate National Parks Association (GGNPA) and National Park Service (NPS) architects had drawn plans to renovate the building, originally constructed as a World War I mine depot, into a small visitor’s center and cafe. We were selected as the structural engineer. 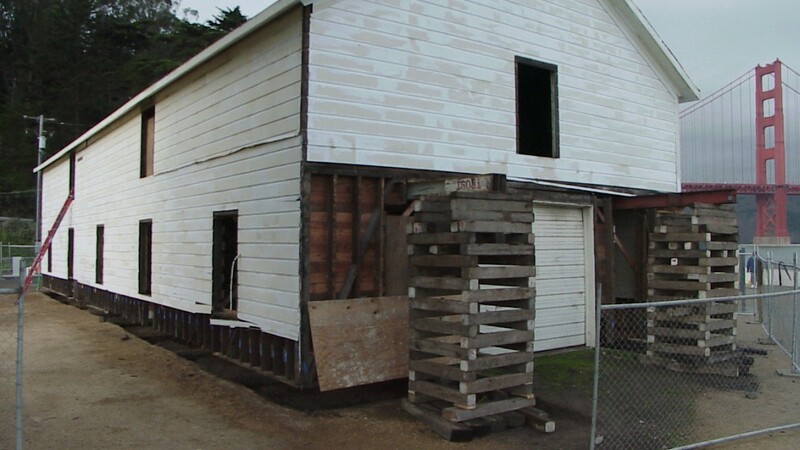 In addition to the failing foundations, the superstructure had been modified such that the main girders supporting the attic loft were severely overstressed. The structure was a significant historic building, and hence the renovation was subject to well-established historic preservation guidelines. Steel angles were “sistered” onto the original wood girder using connection details that would clearly differentiate new construction from original. The site is underlain by soil strata that could liquefy during an earthquake. The strip footings were replaced by a concrete mat slab so that the building would “float” on the underlying soil should become unstable. To prevent severe displacement, the slab was moored to a nearby rock outcropping using a network of below grade cables. The renovated building, now affectionately called the “Warming Hut”, has become a successful way station for visitors to Fort Point and Crissy Field.